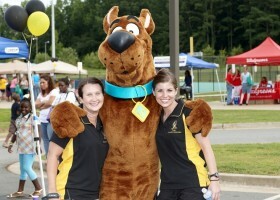 The BIG DAY OUT is coming to the Acworth Sports Complex on Saturday, June 18, 2011. The event is designed for special needs children and their families, and features inflatables, face painting, carnival games, music, video games, jugglers, balloon artists, sand art, a vendor walk, special visits from celebrities and professional athletes, and much more. Approximately 200 to 300 families are expected to attend, and the event is free (registration required). For more information, please call (404)735-8980. The Golden Soldiers, Inc. is a faith based, 501c(3) non-profit organization focused on spreading the meaning of The Golden Rule by providing resources and assistance to individuals with special needs.